Oz Fair Trade was closed for almost two months, during which time I read more than ten books, thought seriously about my life, and traveled to new places. No matter how busy life gets, it’s great to get away from it all once in a while. This time, I went to Norway, Amsterdam, London, Spain, Portugal, Morocco, Singapore and Phuket. Even spent 8 hours (12am to 8am) at Qatar airport. Before I went, I had the idea that I must visit Oxfam in London and must check out the fair trade scene in Europe. I have been told that Europeans are more aware of fair trade than Australians. I thought I must check it out with my own eyes. So off I went. Norway was beautiful and very expensive. Oslo was just like any other developed cities. Fast fashion was the norm. 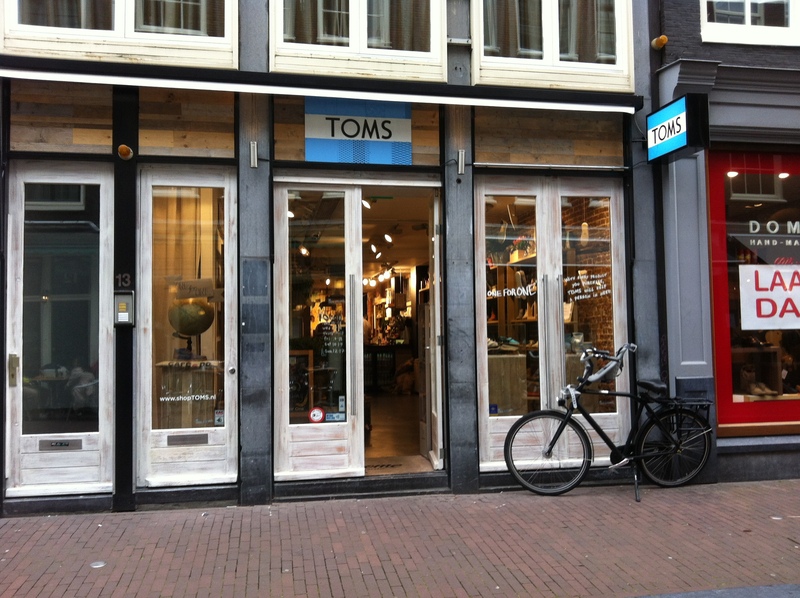 Next stop Amsterdam, where I stumbled upon the first TOMS shop I’ve never been to! I thought…really? Really? TOMS in Amsterdam??? It was 9pm and there were a bunch of people walking out the door. I wanted to walk in, but they said it’s closed. Bugger. I eagerly returned the next morning, like Alice in Wonderland, marvelling at everything in store. The shop manager told me with a big smile that this store only just opened a few weeks ago, and that TOMS has a plan to rapidly open stores around Europe. I was excited! Maybe Australia will be the next? I loved the store layout. 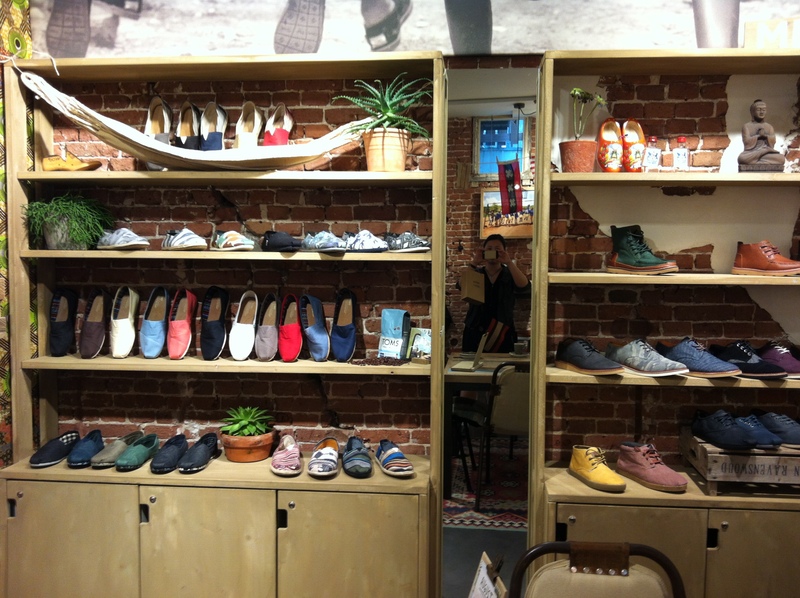 It created a warm and welcoming atmosphere, and explained well the unique story behind TOMS. If I ever open a shop, this is exactly the feeling that I want my customers to get when they step foot (or even before they step foot) into the store. I ended up buying a pair of TOMS shoes (of course!) and sunnies. Yay! Next stop London. The British Museum was amazing, although I suspect that many items were stolen or robbed from other countries. I was excited to find that my hotel was close to an Oxfam shop, so off I went. It was on a side street, and looked small. I walked in…I thought I walked into a second hand clothing/book store. There was a small selection of Oxfam food products, but that was about it. Nothing like the Oxfam shops in Australia. I was very confused. Isn’t UK the heart of Oxfam? I asked the shop assistant if there were bigger Oxfam shops in London, but they said every Oxfam shop was pretty much the same size. I walked out with some dried fruit and felt disappointed. Spain and Portugal were relaxing and cheaper than the other countries I just visited. Fast fashion chains like Mango, Zara and H&M were very popular. I didn’t come across any fair trade shops. To be honest, I still had not got over the disappointment in London. Then I crossed the border to Africa on a ferry. Morocco is a very different country to Europe. 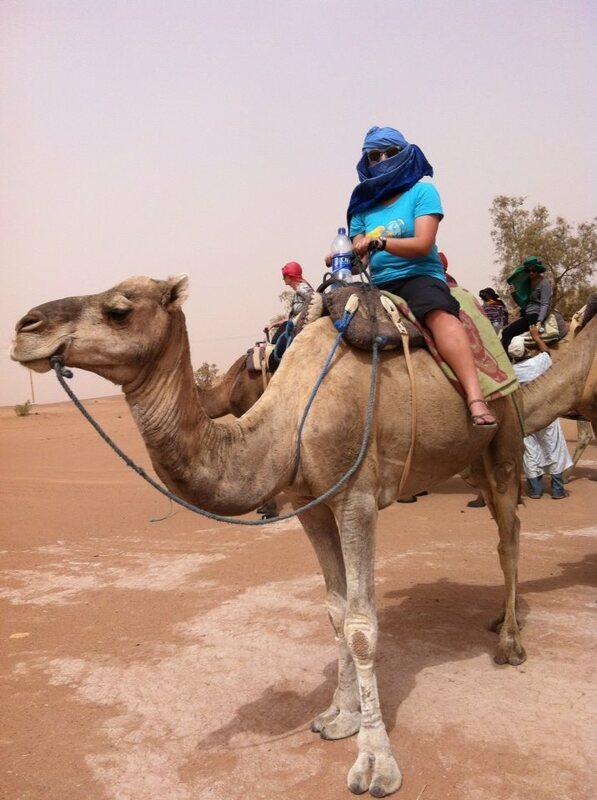 I experienced my first sand storm and first camel ride. I also discovered a local ingredient: argan oil. Apparently, it is the latest cosmetic secret on the world stage. Expensive products are using argan oil as a selling point. Argan tree is native to Morocco, and at this stage, only grows in Morocco. 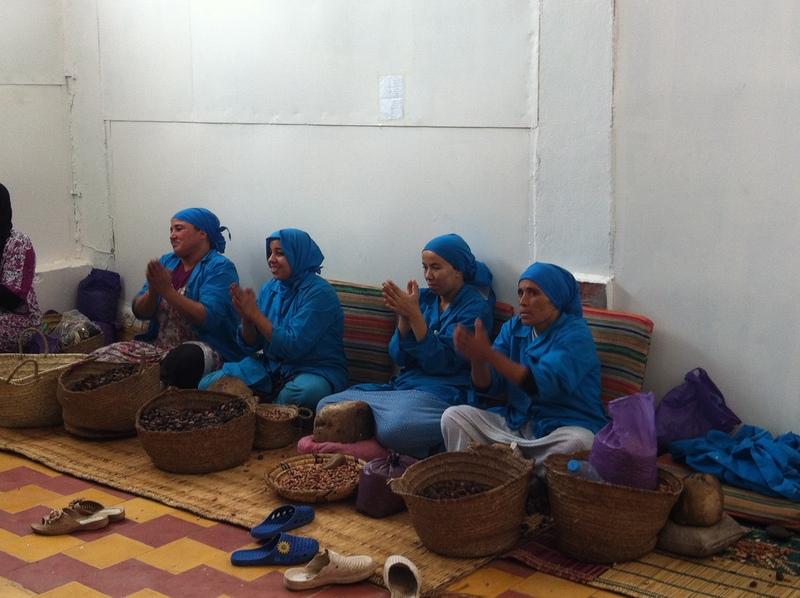 I visited a local women’s cooperative that produces argan oil for cooking and cosmetics. I loved how the women working there were so happy and proud. I looked up Morocco fair trade, and the only organisation I could find was Tighanimine. I tried to visit them, but by the time they got back to me, I was already too far away. I heard that many cooperatives are in the process of getting certified, so I’m definitely keeping an eye on this space. I’m also interested to learn whether there are sufficient interest for argan oil in Australia. I found a few sellers in Australia, but none seems to stock fair trade. Are you interested in fair trade argan oil? Please leave your comments below. Throughout Morocco, there was hardly anyone who knew about fair trade. I talked to carpenters, woodworkers, shoe makers etc., but the responses were always disappointing. I left some business cards and asked them to look at setting up websites and getting fair trade certification. From what I could see, they were simply relying on demand from tourists. But that’s not enough. In my search for answers, I came across a great website that allows Moroccan artisans to sell directly to people around the world. I thought the prices were very reasonable, in fact, they are similar to what you’ll pay in the market after some bargaining. But if you buy online, you’ll know that the product is handmade and the artisan gets all the profit. This sums up my trip. Thank you to all those who placed orders while I was absent and patiently waited for your orders to arrive. Now the shop is open again and all orders will be dispatched within 24 hours. Cheers!